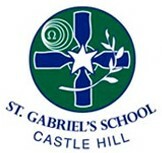 St. Gabriel's in Castle Hill is an Independent Catholic Primary Special School catering for children with hearing impairment and other special needs such as intellectual disability and autism in the mild to moderate range. St. Gabriel's has had a proud history of special education for over 80 years and continues today by offering individualised, exciting programs for our students. Our specialist teaching staff and purpose - built environment allows our students from K-6 to achieve success through a focus on communication, literacy, numeracy and social skills. St. Gabriel's is a Catholic school in the Edmund Rice tradition administered by the Christian Brothers through Edmund Rice Education Australia, a National Governance Body for all Christian Brothers' Schools across Australia. In NSW St. Gabriel's School at Castle Hill and St. Edmunds School at Wahroonga are administered by the Edmund Rice Special Education Services (ERSES) Board.